From franchises to sit-down restaurants to packaged goods, the food industry is vast and diverse. So, what does your food-related small business need to know for 2019? We’ve put together these food industry statistics to keep you in-the-know and help you advance your business this year. Whether it was purchased in a restaurant or a retailer, the United States spent an astonishing $2 trillion in food in 2017. It makes sense, after all ― everyone needs to eat. The American people are growing increasingly health-conscious, opting for fresh foods and nutritious alternatives to fast food chains. This industry has its own hefty slice of U.S. food sales, amounting to $127 billion. That certainly says something to all the kale naysayers. Even restaurants are opening the door to specialty foods. More clean, unique, organic, or otherwise specialty options are being presented in restaurants to appeal to a more health-conscious demographic. Speaking of specialty foods, organic produce is on the rise as well. In fact, it’s the fastest-growing segment of the food industry. Health food is here to stay, so if your establishment incorporates more organic food, you’ll draw in even more of your health-conscious target. It’s hard to believe that specialty foods outweighed fast foods but, as they say, truth is stranger than fiction. However, it’s important to consider that there may be some overlap between this and the previous food industry statistic as many fast food franchises are now offering cleaner options to appeal to the healthy eating crowd. Even though restaurants draw in a huge amount of revenue, restaurants will never beat out the packaged day-to-day staples that every family keeps in their home. The packaged food industry pulled in around $377 billion in 2017, which was a rise from the previous year. Even the tech industry is starting to overlap with food. 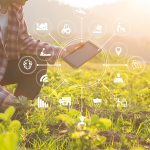 As the population increases and the need for more efficiency is needed in farms and local food suppliers, technology is being brought to bear on the food industry to help solve these issues. Silicon Valley is branching out into this area to try to help increase efficiency and nutritional value in food. We all know cannabis is on the rise, but it’s making an emergence into food in the form of edibles. From cannabis to cannabidiol and beyond, hemp products are seeing increasing demand due to their numerous health properties and soothing effects, and we can expect this trajectory to continue to rocket upward in the coming year. 9. As of 2018, there are nearly 200,000 fast food franchises in the U.S.
With fast food establishments on nearly every corner of the U.S., it comes as no surprise that there are hundreds of thousands of these in total. This is part of what makes fast food so convenient and fast. This food industry statistic certainly comes as no surprise, considering how long McDonald’s has been around and its incredible brand power. This fast food franchise is worth around $88 billion, which is double the amount of its runner-up, Starbucks. Approximately 37% of Americans eat fast food on a given day, according to data from the National Center for Health Statistics. That shows just how ingrained fast food is into the average American lifestyle. Although there are exceptions, the average fast food establishment pulls in around $80,000 per year in profit. However, a franchise’s success is always based on a number of variables, and some franchise owners can turn an incredible profit with proper advertising and management. Despite the massive influence that fast food has on American culture, the health food industry has begun to cut into that influence. Fast food restaurants are only expected to grow around 2% in the next year, but this does provide a unique opportunity for these establishments to expand their product offerings or enhance their marketing efforts to reach new targets and improve their brands further. Fast food isn’t the only convenient way to eat anymore. The online grocery and delivery business has seen a huge boom during the past few years as retailers, as well as third-party delivery services, work in tandem to bring customers even more easy ways to shop. Further evidence of the online ordering explosion is the related growth of grocery purchases through apps. This number will increase by about 49% compared to last year, so more and more people appear to be jumping on the app ordering train. About 56% of traffic to food brands comes in via search engines. This means that it’s still as important than ever to have a robust content marketing strategy backed by hard search engine optimization (SEO) principles. We all love our foodie Instagram friends. Instagram’s image-based platform is the ideal place for food marketing with appealing photo ads. Just be sure to include those popular hashtags so that you gain as much traction as possible. These are the top methods for reaching your target in the most cost-effective way possible. The cost per 1,000 impressions on Instagram is $5.68 while on Facebook the cost is around $6 and LinkedIn clocks in at $2. The relatively low cost of marketing on social media with the heavy influence that results delivers a high return on investment, making social media the ideal place for marketing food. Whether digital or traditional, ads are important for grocery stores and packaged good manufacturers. At over a billion in ad spend, these industries are investing quite a bit of their marketing dollars in ads to boost their brand and reach new audiences. The food industry as a whole is multi-faceted and complex. However, one uniting factor is that whether you own a fine-dining establishment or a neighborhood grocery, these food industry statistics show that health food and social media are the top trends to keep in mind for 2019. 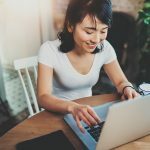 By expanding your product offerings and adopting a personal social media presence, you can advance your business and push forward with confidence.